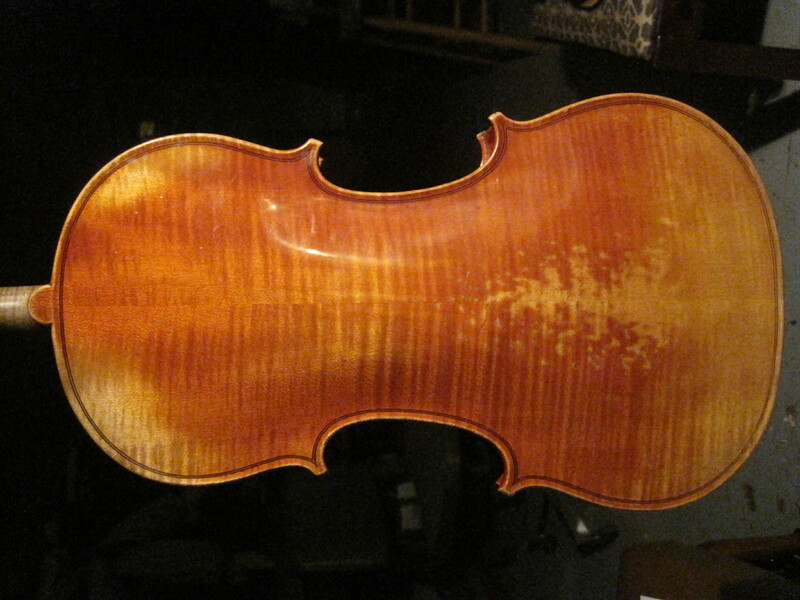 This beautiful cello, which belongs to a prominent Phila delphia cellist/teacher, was made by the great Venetian maker Matteo Gofriller.(1685-1742). He was working in Venice while Stradivari was working in Cremona and began a tradition there that includes Montagnana,Gobetti and on down through generations of great makers. 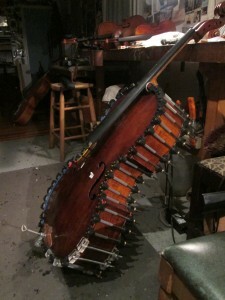 He is probably the most sought after cello maker of all time – with soloists of all ages seeking out his cellos for their power,richness and complexity of sound. 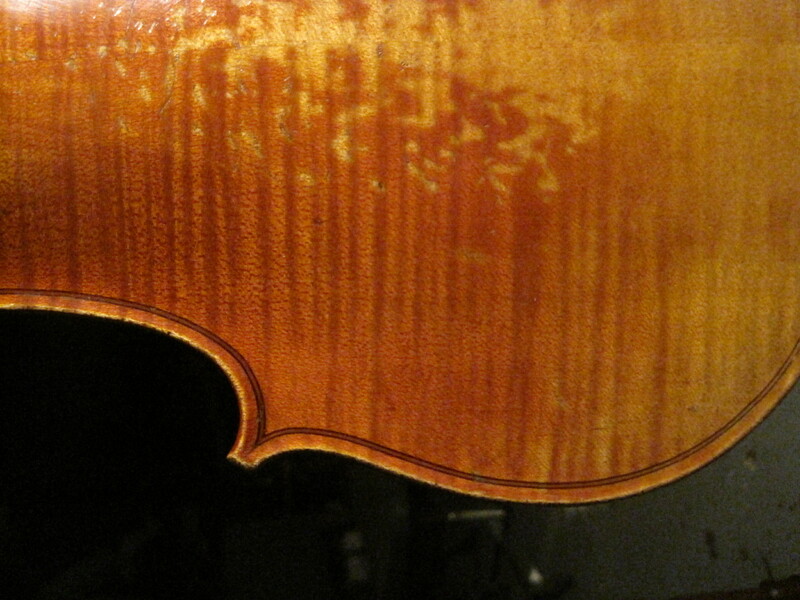 As you can see from the photo this cello has been through quite a bit in its 300 years -with many patches of spruce on the top. Some patches are adding weight /mass to improve sound and compensate for some loss of wood when the cello was cut down from is original size. 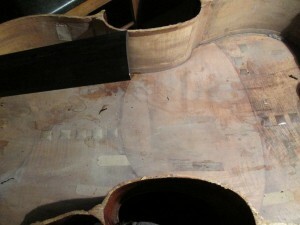 (Many cellos of this era have been cut down to conform with modern ideas of sound and playability) Some patches are to restore distorted arching – one patch is reinforcing the soundpost area and others are reinforcing repaired cracks. 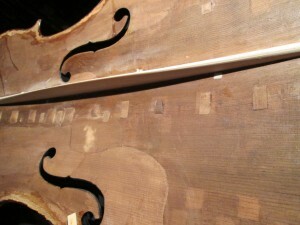 All these patches and additions of wood make the topography of the top very uneven and make the exact fitting of the bass bar very delicate. If the bar doesn’t fit the top seamlessly,it will contort the top to fit the bar to fit the top – creating distortions to the arching that would be completely unacceptable. The bar will make the sound richer and more powerful by its improved placement (in relation to the bridge foot) its shape and the spring that it will be fit to exert careful upward tension on the top. Also of interest is the large weight patch in the middle of the back….there is no crack to reinforce so it must have been fit to add strength/mass – perhaps to compensate for material lost when the cello was cut down?….or maybe to help with sound? Its hard to know exactly….its part of a long, collaborative journey between the maker and the many hands that this cello has passed through in its 300 years. 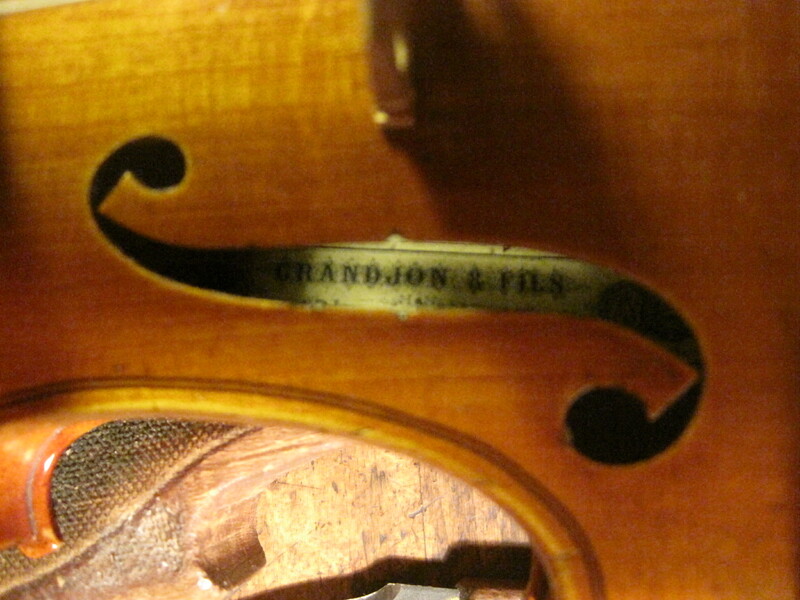 This beautiful late 19th century 3/4 violin by Grandjon et Fils has all the power and delicacy of great French violinmaking with the added charm of being an instrument for a young player. Everything from the tastefully “antiqued” wear pattern on the back to the crisp “bee stings” of the purfling mitres, and the lovely fluting around the F- holes, speaks of the utmost care in this instruments production. 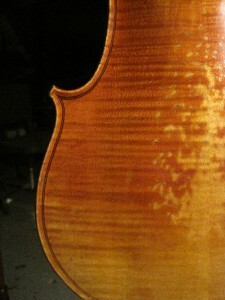 This level of care is not often met with in violins that are less than full size. 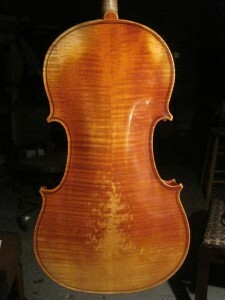 This would be a wonderful violin for an ambitious young violinist – one that I would be happy to take in trade when the player is ready for a full size violin. When I first started at Moennig’s, Dario would come down from New York and do appraisals once a week at the shop. After work – with the aid of a little scotch – he would expand about his life, the violin world and his intimate knowledge of Italian violins and their makers. 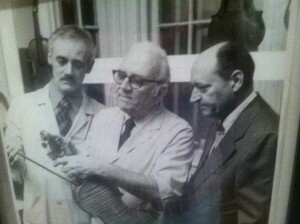 His was a fascinating story of training as a maker in Italy – then coming to New York to work at the famed Wurlitzer shop, where he worked with the great restorer/maker Simone Sacconi and where he was immersed in probably the finest collection of string instruments to be seen in the 1960’s – 70’s. To hear him talk of Sgarabotto ,Scarampella ,Saninno and all the other 20th century Italian makers was a treat – he had the insight of a maker – the eye of a connoisseur and plenty of Italian-ness to make you feel that the bore a spark from some sacred fire.